After looking at your mod myself instead of simply trusting that you are using a completely vanilla pipe to ground, I found line 17 in boblogistics_0.17.6\prototypes\entityprototypes\entities\pipes.lua : "data.raw["pipe-to-ground"]["pipe-to-ground"].fast_replaceable_group = "pipe-to-ground"" Remove that line and everything works as expected. Thanks so much for that! Problem solved. it will be done in the next official version. I changed all the underground pipe fast replace groups to pipe to match the new underground pipe, but then forgot to remove the override to change the underground pipe's fast replace group that I'd added earlier. This is something new to my latest game. Don't know if a setting got switched, but I can't find it. Blue electronic assembly machines can't produce blue circuits. Red machines have no problem, and blue machines had no problem in my previous game. I've seen this error report before. It is fine on my end, blue can be crafted in Assembling machine 4 (and 2, depending which is blue). Could it be related to another mod changing things? There's a 4?? I've only seen up to 3.
bobingabout wrote: Could it be related to another mod changing things? Hopefully this is what you're looking for - Under startup and under "Bob's Assembling machines", everything is checked except for Factory ingredients limits. The only change I've made is an edit suggested a few posts back in this thread concerning the problem of replacing iron pipe-to-ground in the upgrade planner. Outside of the Bob's mods, I also changed a setting in Bulk Rail Loaders so that they accept "any" cargo rather than ore only. FWIW, I loaded a game from a few days ago and blue machines (#3) are still able to build blue circuits. Are you sure your other game is making processing units with an "Electronics assembly machine 1"? Or is it an "Assembly machine 2", an "Assembly machine 4", or an "Electronics assembly machine 2"? @sparr Are you using FNEI? I think there's a current bug where FNEI will sometimes grant technologies for free. Also, since that's an Angel's technology, you probably should have started in Angel's forum in this case. that doesn't really tell me anything I need to know. for example... the circuit images are base game style, which suggests you don't have bob electronics installed. you also mentioned a setting Bulk Rail Loaders, which isn't a bob's mods thing. I'd need to know your exact mod configuration, what mods do you have installed? because this sort of issue is most likely due to a change made by someone elses mod that my mod isn't accounting for. 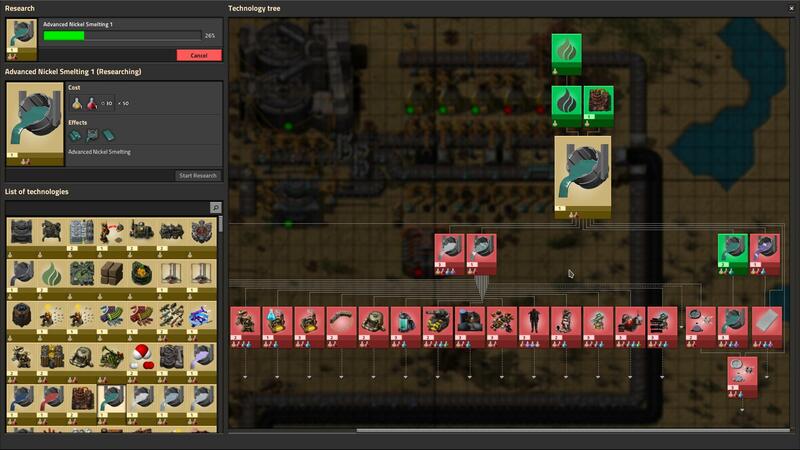 For example, Bob's Assembling Machines mod adds the Electronic Assembling Machines, they change the crafting category of electronics to "electronics", and add "electronics" to the existing assembling machines. What if one of those mods overwrites the crafting categories to add one of it's own instead of inserting it? the result is it would delete "Electronics" from the list... though that doesn't explain why it can still craft the other circuits, that's just an unlikely example to highlight how installing other mods can have unintended side effects. Going by the icons, that's an Angel's thing. to make things even more confusing, there's an option in Assembly that changes the colour of assembling machines, making blue #4, Shiny mods probably makes it #3, and by default, #2 is the blue one. it would be so much easier if everyone just said the number, not the colour. I've seen issues before where certain ingredients like Solder can end up being duplicated, but not knowing the exact configuration it shows up would mean it's hard to track down. That is a huge mod list, I'm not sure where to begin diagnosing this. Can you post a save? It can be synced to mods (assuming they are on mod portal) and also contains all the settings. Oh ffs, it's me!! Blue is NOT electronic assembly machine #3, it's #1. I guess #1 can't make blue circuits. I'm so sorry to trouble you with this idiocy. Last edited by enchant on Sun Apr 14, 2019 9:59 am, edited 1 time in total. I've attached a save, although I think you have to download the ModpackFixes mod manually. who the heck makes Assembling machine #1 blue? Yeah, AS1 is probably the only machine that would have issue crafting most of this stuff, because it doesn't accept fluids as an input, and blue circuits would cost sulfuric acid in base game (no electronics mod).